Ada Ho is currently the Executive Director of L plus H Fashion, a community interest company established in 2009 to create job opportunities for under-served people. With the vision in building up a modern factory manufacturing for world brands and its own brand driven by strong product development and industrial engineering, L plus H incubates a new generation of fashion designers, technicians, garment workers and entrepreneurs for Hong Kong. In the process, the label “Made in Hong Kong” is constantly being re-vitalized and re-defined. Ho previously worked in the business sector in strategic planning, management consulting, and currency derivatives trading at various international corporations. 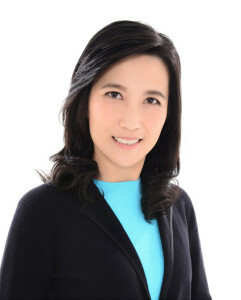 In response to the 8.0-magnitude earthquake of Sichuan in May 2008, she founded the Hong Kong Special Music Squad that provided music and play therapy to almost 20,000 victims within a month. She then rolled out an experimental community reconstruction program that aimed to create community engagement, build social capital, and generate local leadership in pilot settlement areas of the hardest-hit regions. In recognition of her social innovation in Sichuan, Ho was honored with the “Humanitarian Award” in 2008 by the Women’s International Film and Television Showcase in Los Angeles. Ho holds a Master in Public Policy degree at the John F. Kennedy School of Government, Harvard University, and a Bachelor of Science in Foreign Service degree at Georgetown University.